The Pfänder is a popular mountain on the edge of Lake Constance. A day spent on the Pfänder is always an unforgettable experience – whether you go hiking, visit the wildlife park, watch a bird of prey demonstration or simply sit in the mountain restaurant and enjoy the breathtaking views. 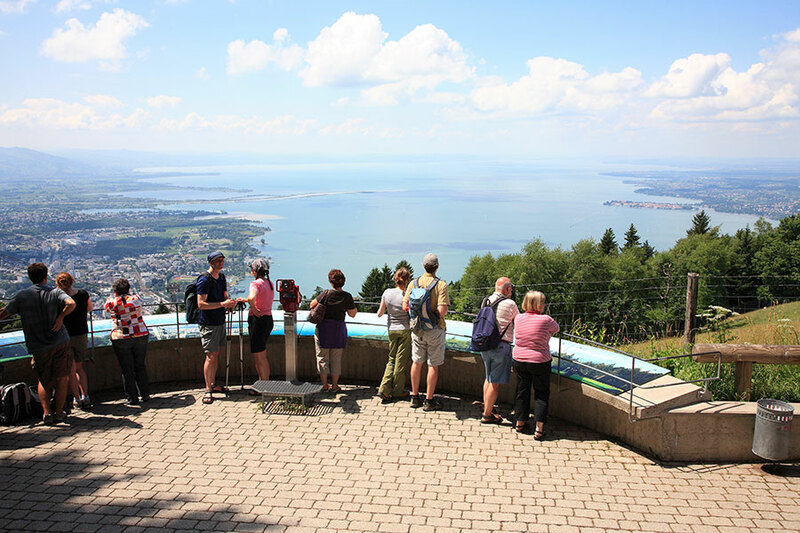 At 1,064 metres, the mountain offers unique views over the lake and the island of Lindau. On a clear day you can actually see 240 alpine peaks! Let your eyes wander across Lake Constance, the Allgäu and Lechtal Alps and the Bregenz Forest region. You can also see the rugged peaks of the Arlberg and Silvretta ranges and even some of the mountains in Switzerland. Get to know the miniature goats, rabbits and pot-bellied pigs in the Pfänder’s Alpine wildlife park or say hello to some birds of prey at the eagle observatory. From Lindau, you can get to Bregenz by train or boat, then go for a hike on the mountain. There is an excellent and extensive network of walking paths. If you’re looking for a less strenuous way to get to the top of the mountain, the Pfänderbahn cable car will whisk you up in no time. Take the train from Lindau’s Main Station to the harbour in Bregenz (Bregenz Hafen). The journey takes around ten minutes. From there it’s a five-minute walk to the Pfänder cable car. Tip: Buy your ticket at the ÖBB ticket counter at the station in Lindau, as it’s cheaper than buying it from Deutsche Bahn. Check the Lindau – Bregenz timetable for train departure times. From April to mid-October the easiest way to get to Bregenz from Lindau is by boat. 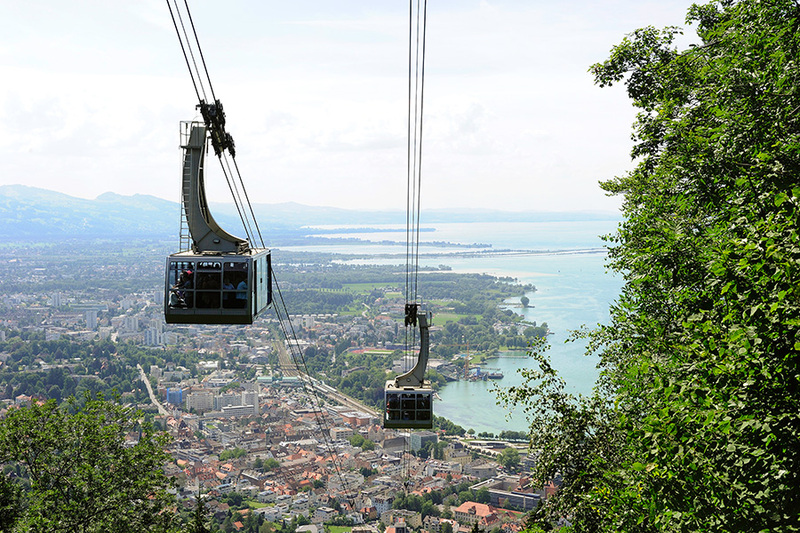 The Pfänder cable car is only a five-minute walk from the harbour in Bregenz. Tip: Buy a discount combined ticket covering both the boat trip and the Pfänder cable car at Tourist Information in Alfred-Nobel-Platz.